Maniacal Laugh Not Included. You can still imagine the unending "Hahaha" coming from this richly enameled pin that's based on artwork straight from DC Comics' design vault. 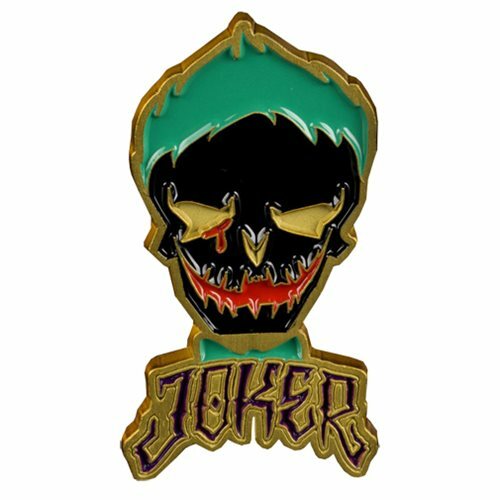 The Suicide Squad Joker Lapel Pin features the master criminal with bright green hair, a red gash of a mouth, and his name in royal purple. Pin measures approximately 1 1/2-inches tall. Ages 13 and up.